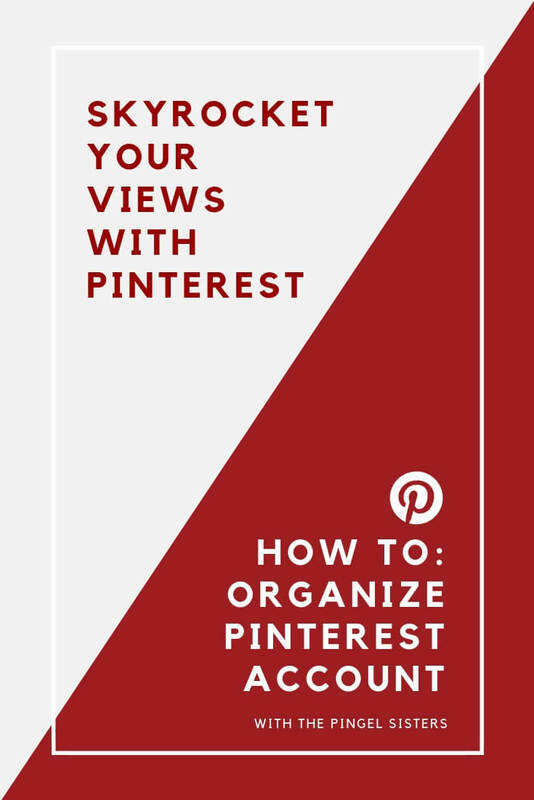 Note: For this article, we recommend viewing our Pinterest account as an example of how these tips on how to organize your Pinterest boards come into play. And while you’re there, you might as well follow us as well. By now, I’m sure you’ve heard all about how amazing Pinterest is. How it can drive gazillions of page views to your blog. How it’s the key to earning six-figures as a blogger. So you sign up for Pinterest. You struggle to claim your website and create a business account. Then you start pinning and pinning, waiting for the waves of blog traffic to hit you like tsunami. What happens when they don’t come. Are all those bloggers just lying to you? Or are you just not approaching Pinterest the right way? I’ve looked through tons of Pinterest accounts by bloggers, and it amazes me how many of them just up and skip the basics of setting up a Pinterest account. While strategy, amazing content and eye-catching pins are extremely important, many people forget to look at the boring little details like how to organize your Pinterest boards. Yet, it’s the simple things, like how you organize your Pinterest boards, that really set some people apart. When you can master the strategy AND have a solid foundation, you are setting yourself up for success. Learn how to organize your Pinterest boards and give your account a quick audit. Set up that solid foundation so that when the tsunami hits, your house doesn’t wash away. 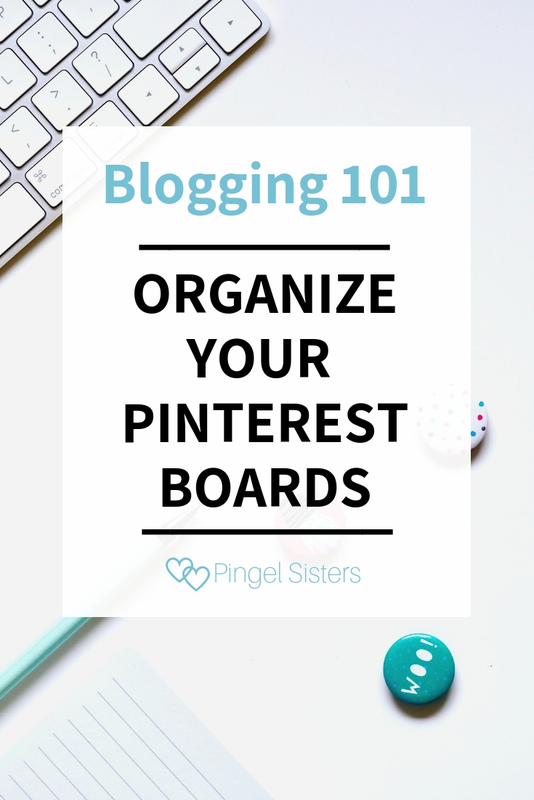 First, let’s go over some basics before we go into how to organize your Pinterest boards. If you haven’t set up a business account yet, your really should. Not only are the analytics helpful, but the bonus features like the profile header are important. You’re account will instantly look more professional if you have a business account. Once you have your business account, now it’s time to set up your boards. There are three types of Pinterest boards: brand, topic and group. For full explanations of each, you really should read my post all about them (and the awesome fourth type of Pinterest board). For now, here’s a quick overview. Brand Boards – Boards dedicated to only your pins. You need at least at Best of board. Topic Boards – Boards dedicated to the various topics you pin about. Group Boards – Boards that are a collaborative effort between multiple pinners. Got it? Let’s move on to the first steps to organize your Pinterest boards. 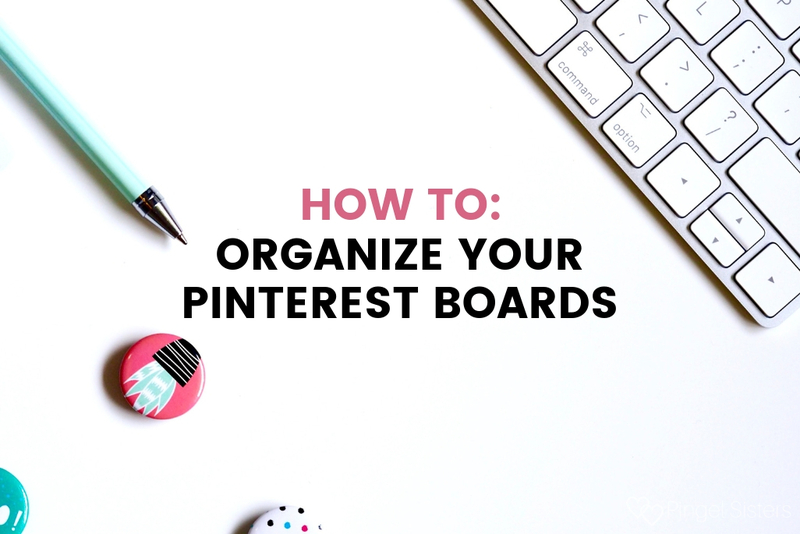 Now that you understand the different types of Pinterest boards, it’s time to organize your Pinterest boards. We just went over how you must have brand boards, topic boards, and group boards. But how do you organize them? You always want your brand boards to go first, because you want to be front and center. It’s all about you. You want to drive traffic to your blog, not to other people’s websites. If you want to drive traffic to your brand, that’s the first thing your viewers should see when they look at your profile. Of all the boards your most important board is your Best Of board. However, if you want, you can have multiple brand boards for the different categories on your blog. For example, when we started our blog, we had four categories: Live, Work, Travel and Read. Thus, we had boards: Pingel Sisters – Travel, Pingel Sisters – Books, Pingel Sisters – Life, and Pingel Sisters – Work. Even though we started with brand boards for each of our categories, we have found that those boards don’t do as well as our other boards. Looking at my analytics in Tailwind, we can see that they have the lowest engagement of any of our boards. Still, we would advocate for creating a brand board for each category just to see how they perform. Although most of our brand boards didn’t perform well, for us, our Pingel Sisters – Books board does really well. Therefore, it gets its own board because it’s driving its own traffic. Probably because people love book recommendations from us. At least that’s our hope. If your brand boards aren’t pulling their own weight, another way to organize is to make sections inside your Best of board. Thus, inside your Best Of board, you’d have your life and travel folders. This method keeps the board itself internally organized instead of having excess boards that no one cares to view. Next up when you organize your Pinterest boards, you need to cover your topic boards, the different topics that your blog is covering. Remember, you only want topics related to your blog. You don’t need to have Little Sally’s Nursery Decor ideas for your public boards. Those are for your personal use, so they need to be secret boards. Your topic boards should be relevant to your blog and should cover the different topics you post about. 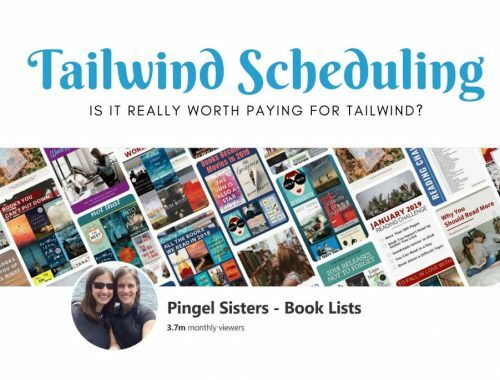 Even though we have switched to a heavier focus on books, we still occasionally write about Motherhood and Travel, so we kept a few boards on those topics. If we decide those topics aren’t pertinent to our blog anymore, we will drop them. The goal being to focus on the needs of our viewers, not just on our interests. Since we talked about sections earlier, you are probably wondering if you should create sections inside your topic boards. In our opinion, you should not create sections. We don’t see any advantage to having subfolders. If it’s important enough, just create another topic board instead. If your followers are going to go through your board, they are going to go through your board. People generally just want to follow you and have your new pins pop up in their feed. Now let’s get down to the details of how you organize your Pinterest boards. Basically, it all comes down to one rule: Prioritize. You want to logically order things by importance so that everything is easy for your followers to find. Where do you start? With you of course. I can’t stress enough how that your Best Of board needs to be the very first thing any follower sees. Your brand boards always trumps anything else. Next up, are your topic boards. Since these are boards you own, they get higher priority over the group boards. Group all your topic boards together, and then trail all your group boards in at the bottom of your profile. Now, take it a step further. For each type of board, organize by priority. If you have multiple brand boards, then rank them by importance and order them that way. Then group your topic boards into categories. For example, our main topic is books, so we have multiple boards about books. We have children’s books and young adult books and book reviews, etc. For superior Pinterest board organization, we group all of these together, and then list them immediately after our brand boards. Taken one step further, we even prioritize all our book boards, so that our most important one with all of our book lists always appears first. After books, logically the natural progress is to bookstagram and book blogging. Which naturally segues into Blogging Advice, then to Working Moms then to Mom Life. From there we go into travel – family travel and national parks. Notice, I’ve covered all the different topics I write about. If I wrote a lot about babies, I would have boards about babies and pregnancy and I would group it in with the mom section. Your goal is for everything to be nice and neat making it easy for your reader to find exactly what they want. Last of all, do the same thing for your group boards. The best method to organize your Pinterest boards will take advantage of our natural love of symmetry. Repeat the category organization you used on your topic boards on your group boards. Notice that we have all our book group boards first, then our blogging, then mom life and lastly travel. Exactly matching how we organized our topic boards. Wait, there’s just one more thing! Now that you have your boards sorted exactly how you want them, you need to change one more setting, or all your work will be for naught! While your Pinterest board organization might look gorgeous on a desktop computer, did you know that it can look completely different on a mobile device! On your phone, Pinterest likes to order your pins by the boards most recently pinned to. Out the window goes all your hard work and meticulous planning. Don’t worry, it’s an easy fix. All you have to do is on your mobile device, got to Edit Profile. At the very bottom of your profile, you can choose how to sort your boards. Simply select Custom, and voila! Your layout stays just how you want it. We hope you have a better grasp on how to organize your Pinterest boards. We have plenty more to say, but this post is long enough already. What do you struggle with most when it comes to using Pinterest for your blog? Thanks so much for the great tips. I think I have some work to do on my Pinterest account. It’s amazing how much you have to learn as a new blogger. I appreciate your help for us newbies! Thank you for this! It prompted me to do a much-needed clean-up of my Pinterest profile AND taught me the trick to get my boards to show up the same on mobile, which I could never figure out!